Do you want to build a fence, but have no idea what type of material to use? There are many options, including wood, vinyl, and metal. Check out their pros and cons. There are several things to consider before installing a fence, including the type of fencing material that will best fit your needs. Here I’ve outlined the different types of fencing materials, and the pros and cons of each. 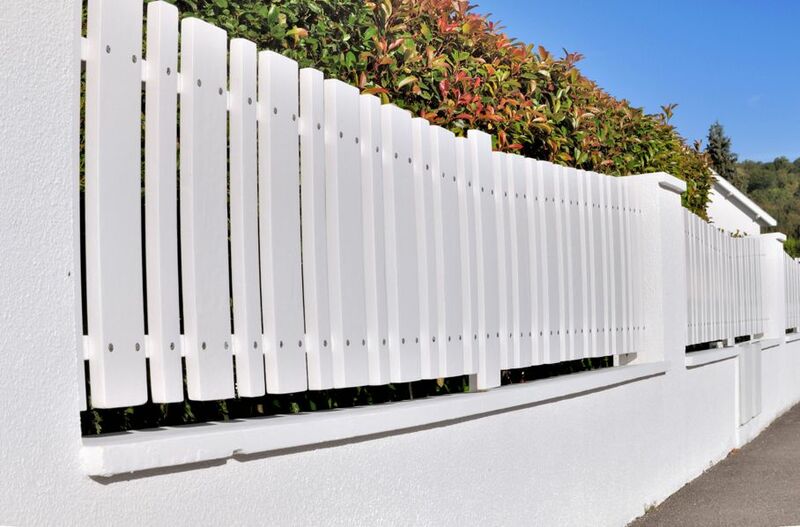 Use it as a guide to choose the right fence for your home. 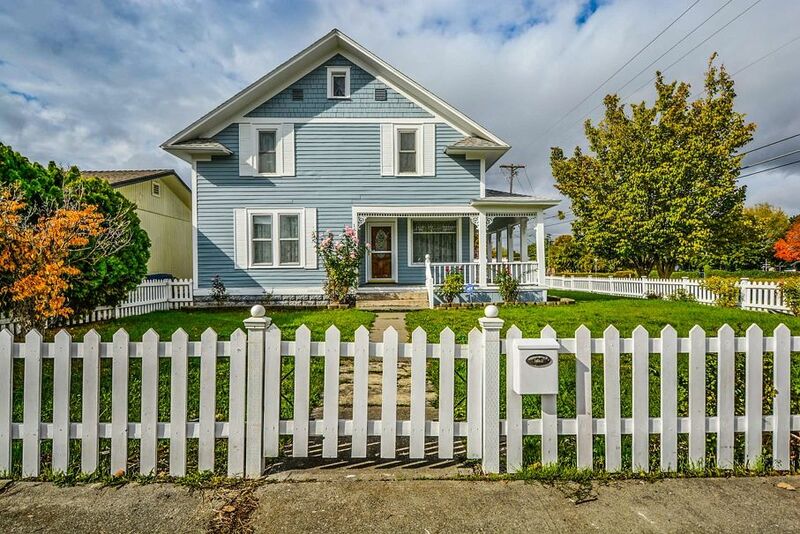 Wooden fences are the standard in many American yards, and for good reason. A wooden fence offers the privacy many homeowners desire without making their house look like a fenced-in prison yard. Wood is also a beautiful material with versatile design and style options. As with hardwood floors, your choice of wood will make a significant impact on how the fence will look. Some good woods for fencing material include white oak, cedar (western red cedar), tropical hardwood, and pressure treated pine. • Offers a good amount of privacy and security. • It’s quite affordable, although this depends on your lumber choice, design options, and the size and height of the fence. • It’s easy to install and repair — can make for an interesting DIY project if you’re handy. • Can be easily finished with paint or stain. • Offers a many design options so you can create something unique to your home. • Wooden fences need regular maintenance to last. • It’s also easily affected by several outside factors, including weather, moisture, and insects. • Damage to one or more posts can cause the entire fence to bend or fall. Vinyl is a great alternative to wood. It gives a similar natural-ish look and feel, but is without all the maintenance issues you will encounter with a typical wooden fence. 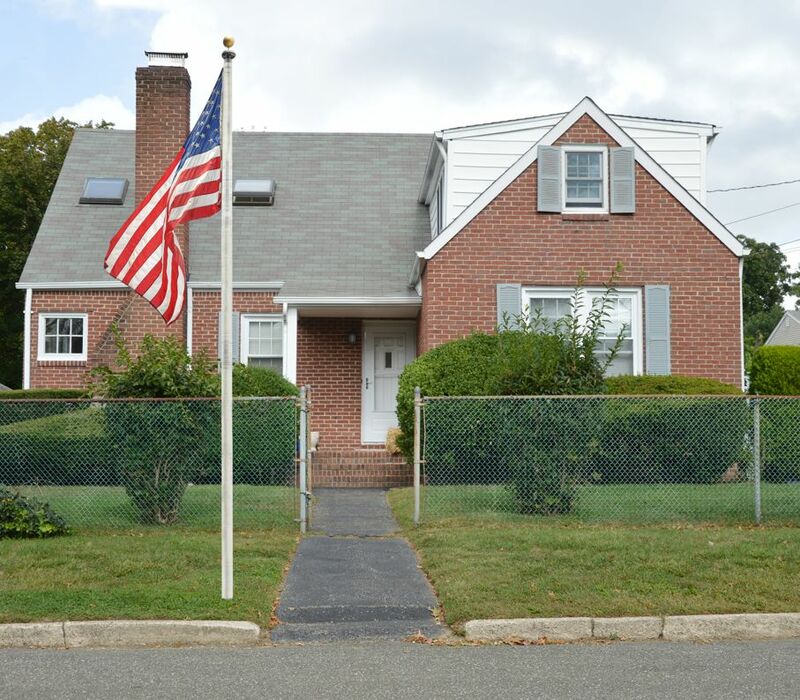 • Vinyl fences are incredibly durable and can stay in good condition for years. • It requires little to no maintenance, which is great if you’re a busy homeowner. 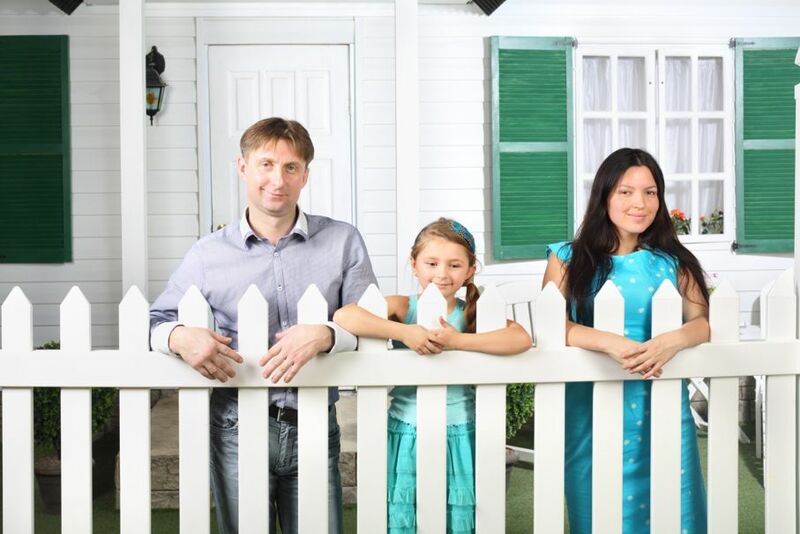 Vinyl fences only need an occasional cleaning with soap and water to look new again. • Vinyl doesn’t require paint or a stain finish because it comes in a uniform color. • Doesn’t splinter, reducing the chance of anyone, especially kids, injuring themselves on it. • Vinyl can be a more expensive option. 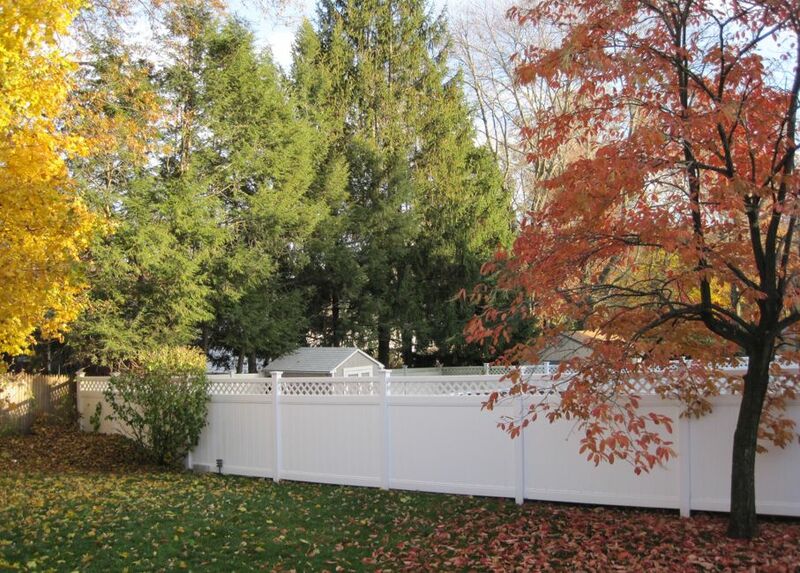 The upfront cost of purchasing and installing a vinyl fence is higher than it is with wood. 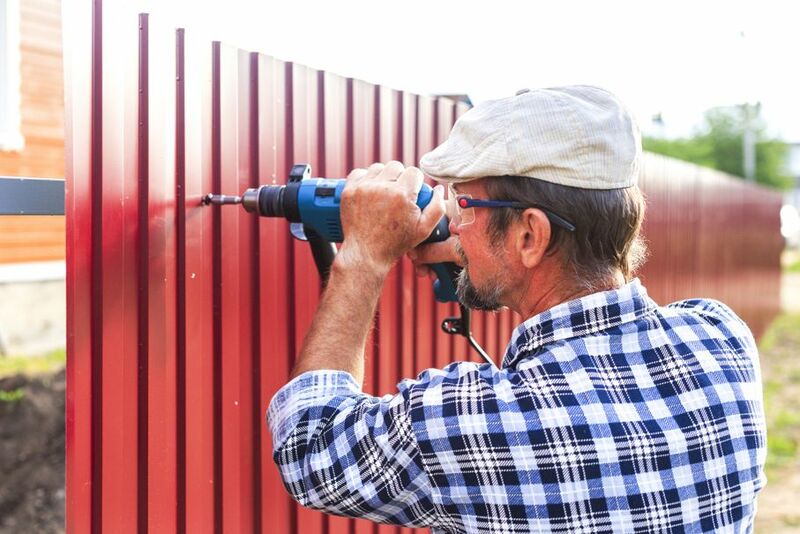 The maintenance costs may be close to zero, but the cost of repair is usually quite high because you can’t just change a single board in a vinyl fence. Any damage might require the replacement of an entire segment. 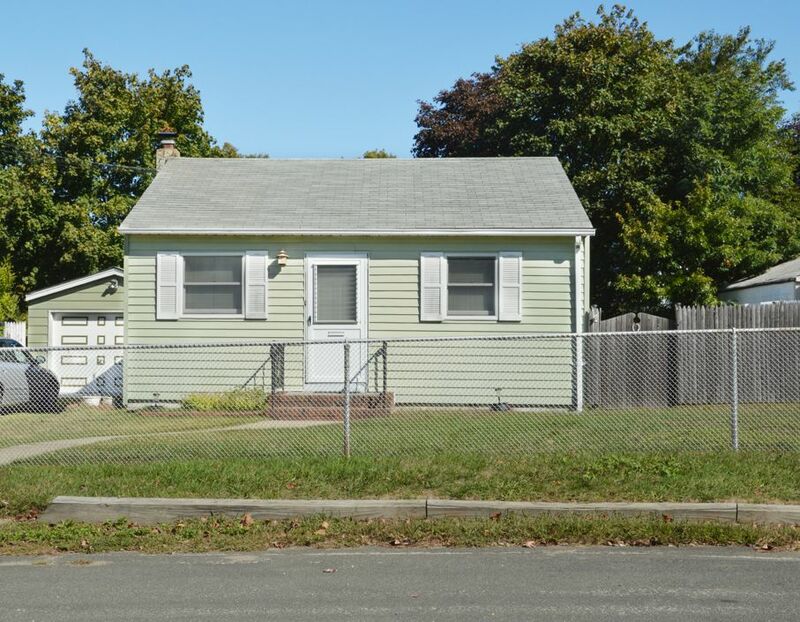 When all these factors are put into consideration, vinyl fences can end up costing you lots more. • Vinyl is vulnerable to weather. Usually, drastic weather changes from cold to heat can cause the material to shift or loosen. This problem can be easily fixed by buying the highest quality of vinyl material, which will be costlier. • Vinyl fences may be more resistant to water, but over time the buildup of moisture can cause the formation of mildew, mold, and algae. 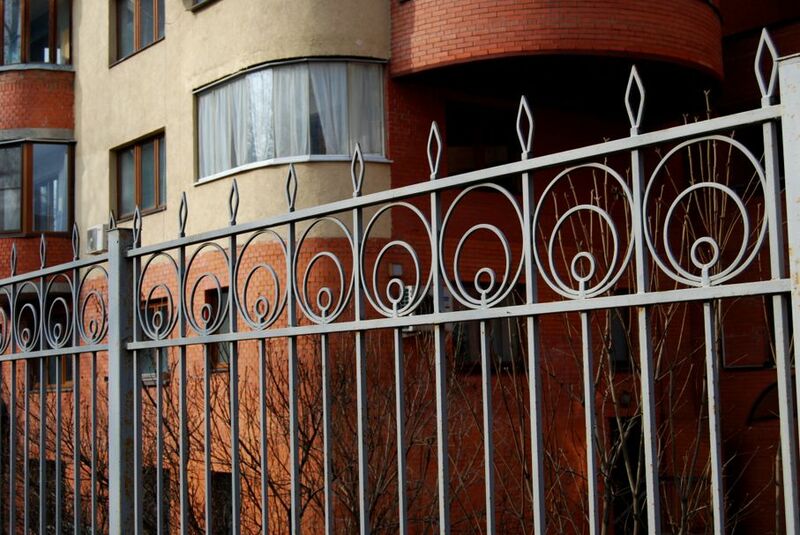 Metal fences consist of four common types: aluminum, wrought iron, galvanized steel, and chain link fences. Metal fences are the most durable type of fences, and most of them are also less expensive than other fencing materials. (This is mostly because metal fences require little maintenance and few repairs.) 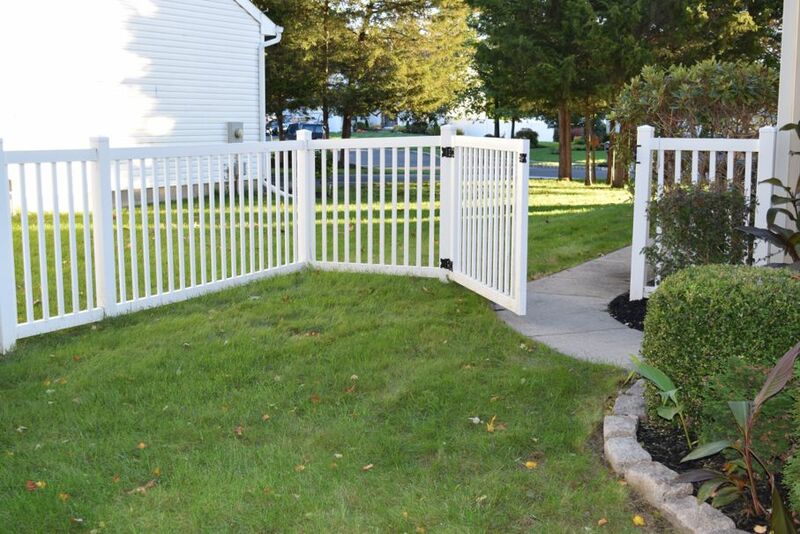 Each type of metal fence has its pros and cons, however. • Aluminum is versatile, and comes in a variety of designs, colors, textures, and heights. • It’s the cheaper than wrought iron and steel. • Requires the least maintenance. Usually, all it needs is to be hosed down with water. • It doesn’t corrode, rust, or fade. • It’s not as strong as steel. 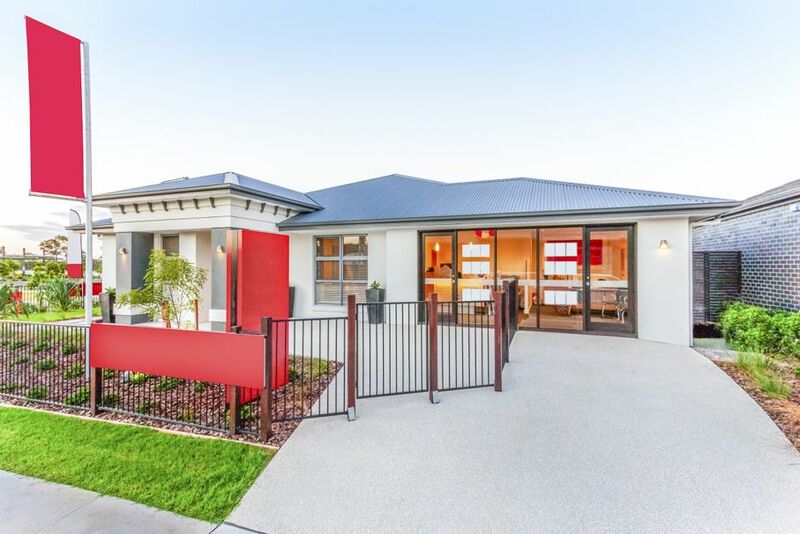 • Doesn’t offer as much privacy as wooden and vinyl fences do. 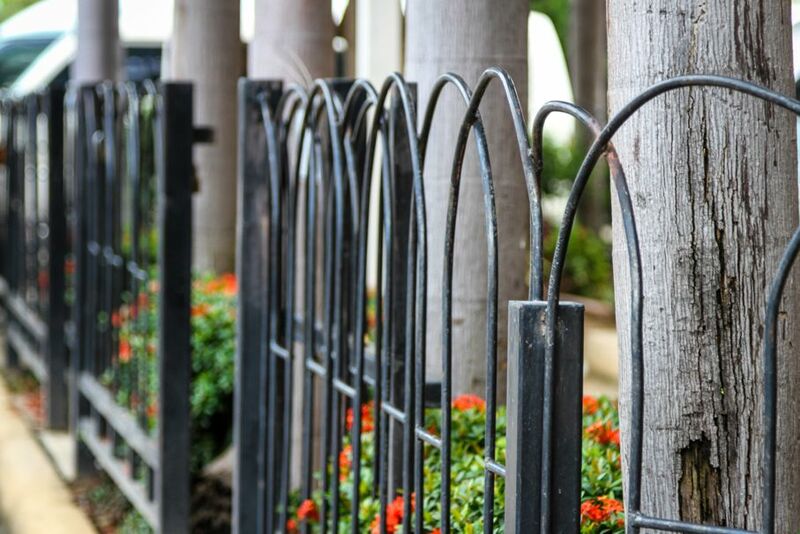 • Wrought iron creates beautiful fences. • It’s incredibly strong and resilient. • Easily the most expensive fencing material. • It’s difficult to handle due to its weight, which makes it hard to install. • Requires a little more maintenance. You must sand and repaint the iron at least every two years to maintain its beauty. 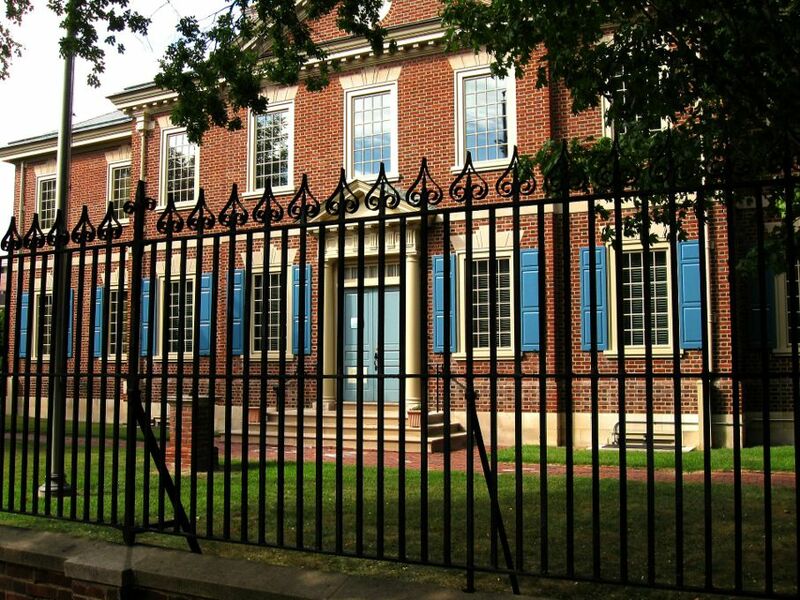 • Wrought iron fences are a bad choice for damp areas because they'll rust. • The strongest fencing material available. • Galvanized steel doesn’t rust like iron. • Steel is hardly as versatile as aluminum or iron, which limits your design options. • Steel fences usually don't provide much privacy. • It's the hardest fencing material to install. Steel fences should not be installed by amateurs. • Not practical for residential use. • Very cheap to buy and repair. • Easy to install by yourself. • Requires the least amount of maintenance. • It’s strong yet very flexible. • Chain link fences offer little to no aesthetic value. It’s designed for utilitarian purposes and that's about it. • It’s not the best option for residential use because it can make a building look more like an institution than a home. • Unlike its metal counterparts, chain link fencing doesn’t provide as much security. It also doesn't provide much privacy. PVC fences are made of recycled plastic materials like nylon, polypropylene, and vinyl (vinyl PVC). 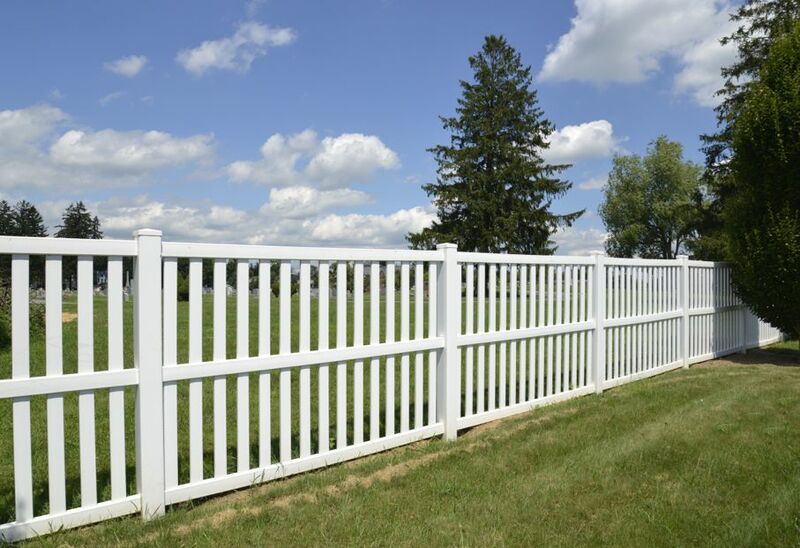 Usually, these fences replace the wooden posts with PVC plastic, which can have many advantages. • Since most PVC materials are cheap, PVC fencing is too. • It’s simple to install and often requires no more than an adhesive or screw to link the posts together. • PVC is easy to mold. You can create a custom style, design, texture, and color that fits with the rest of your home. • The material can last for years, even with little maintenance. • Doesn’t provide a natural look like vinyl or wood. 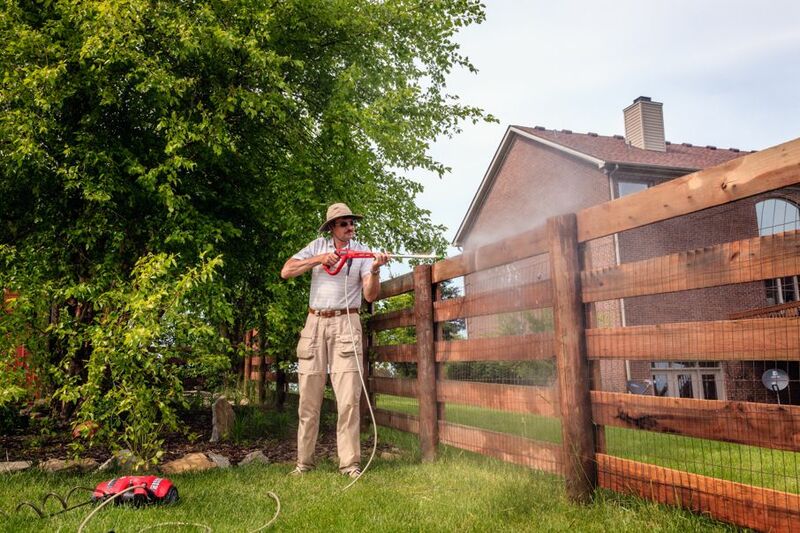 • It’s hardly as strong as other fencing materials, and can be damaged by extreme temperatures and weather.